The length of daylight at this time of year has that nasty way of adding all the outside jobs into ones days off from paid work, and the normal day off chores together. On Saturday I had five chores in the high street: wild bird food, length of timber, silicone sealant, newspaper and cash to get. 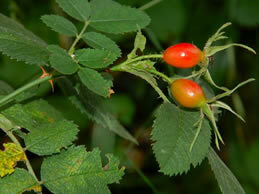 It was time for our annual visit to the local hedgerows for Sloes and Rosehips we got home at 1.45pm. After lunch, time was spent preparing a newly plastered area for decorating and replacing the skirting board. At 6.00pm out to a local theatre group to see the latest production. 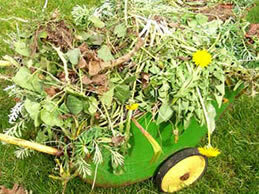 Sunday, time to do some clearing up in the garden. Our last pick of runner beans was the week before so down they came. I start by cutting the string holding the front and back supporting canes with the horizontal cross members. Nylon string and therefore I needed a bag to put the string in, as this would not compost for a long time. We use a large builders sack for our green waste if it is going to the local council amenity site, this was the plan as our compost bins were full. The bag was forced into the car boot, and the rear seats were flattened to take more waste. The garage had some plastic sacks with garden waste in, on checking I discovered a smashed plastic pot in a bag, 3 plant labels, circular wire hoops to secure tomatoes to the cane supports and 2 empty compost bags. One of the compost bags we used as a plastic holder, and a small bag for the metal hoops. The garage has not had a good tidy this year and I was in the mood to do just that. Empty nail and screw packets, the card or paper went into our recycle bin, the polythene into the plastics bag, along with the paintbrush bristle covers. Off cuts of timber were put into another bag to take to the dump. Old cycle lamps with batteries that were in a poor condition, the batteries were prized out and placed into another small bag to go to the site. Three used paint pots these were placed in the car for the household waste skip at the site. Whilst reflecting on the day, I had spent much time thinking about our waste, acting on it by storing it in separate containers, and then physically placing the right waste into the right receptacle at the recycling yard, 6 different areas of recycling different products. Everyone has to be thinking this way, it is part of our modern way of living. There is the opportunity for most people to help complete the circle of one of the recycled products, with the help of Olus. 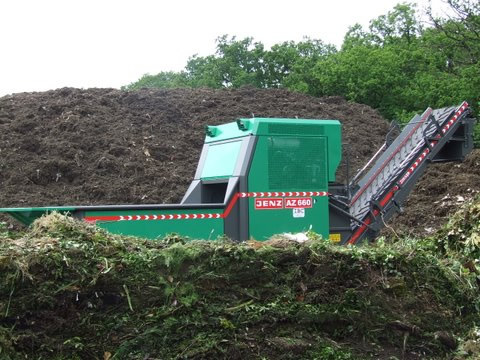 Having composted the local green waste on your behalf, you can purchase the 10MM COMPOST in either SMALL BAGS, BULK BAGS or LOOSE LOADS, all orders have free delivery within a 20 kilometre radius of our site. Order online or ring our Sales Team at 01273 492752.